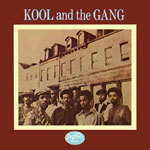 Out of print for many years, this 2012 edition of Kool and the Gang has been completely remastered and sounds better than ever! Some 32 years after its initial release, the album is probably more well known in 2012, thanks to three of its tracks being sampled countless times by hip-hop producers. ''Give It Up'' was used by The Beastie Boys (''Professor Booty''), Cypress Hill (''The Phuncky Feel One''), Dee-Lite (''Dee-Lite Theme''), A Tribe Called Quest (''Scenario''), Compton's Most Wanted, Gang Starr, Lion Rock, Eric B and Rakim, Chad Jackson and Greg Osby. ''Chocolate Milk'' was sampled by Heavy D. (''Let It Flow''), Pete Rock & CL Smooth (''Straighten It Out'', NWA (''Real Niggaz''), Marly Marl (''Simon Says''), Special Ed. (''Ready 2 Attack), Eric B. & Rakim, SL2, Stetsasonic, MC Brains, X-Clan, Uptown and Organized Konfusion. ''Let The Music Take Your Mind'' was sampled by The Beastie Boys (''Lay It On Me''), Ice T (''Freedom Of Speech''), Jungle Brothers (''What's Going On''), Ice Cube, Ultramagnetic MC's, Style and YBT.